Leading residential property developer, London Green has launched the latest phase of 133 contemporary studio, one, two and three-bedroom apartments at its Union Park development in West Drayton, West London. 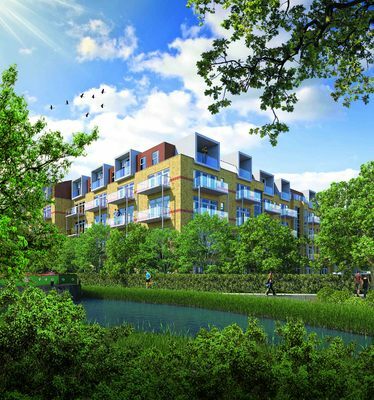 Set along the Grand Union Canal, the new homes at Union Park will offer residents tranquil views over the water and surrounding leafy neighbourhood, while boasting close proximity to local amenities and transport links. James Tregoning, Director at London Green comments: “West Drayton has been the focus of many regeneration projects in recent years and is now a vibrant and thriving part of West London, offering an exciting place to live, work and play. The success of the continued investment into the area has been proven by the popularity of the first phase of homes at Union Park, which is now completely sold and all 118 purchasers are moving in over the next few weeks. The carefully considered apartment layouts make the best use of light and space, and this same attention to detail is evident throughout, demonstrated in everything from the choice of materials to the modern appliances in the kitchens and contemporary sanitaryware in the bathrooms. Key features include private outdoor space in the form of a balcony, Juliet or terrace, daytime concierge service, and secure bay parking. A variety of superstores including Tesco, Aldi and Morrison, along with a selection of high-street retailers such as B&M, Wilko and Argos are all located nearby. The open expanses of Colne Valley Regional Park surround the development and offer a perfect place to relax and enjoy outdoor activities. Ideal for families, there’s a great range of highly regarded schools locally including Rabbsfarm Primary School and the renowned Brunel University is also just a 20 minutes’ walk from the development. Perfect for commuters, the new homes are conveniently located just one mile from both West Drayton and Uxbridge Train stations. West Drayton station offers direct and regular services to London Paddington, Reading and Oxford, while Uxbridge Stations is served by Metropolitan and Piccadilly line trains. West Drayton station will also provide offer connections to Heathrow Airport in just eight minutes upon the arrival of Crossrail next year. Good local road links include access to the M4, which offers journeys to the West and access to Heathrow Airport in under 20 minutes. For travel South the M25 is just 15 minutes away from the development. 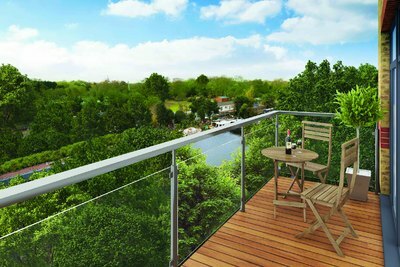 Prices start from £260,000 for a studio apartment at Union Park. The second phase of homes are due for completion in October 2018 and are available through the Help to Buy scheme. For further information, visit unionpark.co.uk.